Dr. Greene’s take on how to distinguish: cold or flu? The symptoms we get during a viral illness are often the body’s attempt to get rid of the virus and to minimize damage. Sneezing ejects the virus from the nose, cough from the lungs and throat, vomiting from the stomach, and diarrhea from the intestines. Fever makes it difficult for the virus to reproduce. The topic of viral illnesses will always remain somewhat confusing, since the body has a relatively small number of symptoms with which to respond to an ever-changing, wide variety of viruses. While colds and flus may overlap, the differences between them are important. The common cold is centered in the nose. The three most frequent symptoms of a cold are nasal stuffiness, sneezing, and runny nose. Throat irritation is often involved (but not with a red throat). Adults and older children with colds generally have minimal or no fever. Infants and toddlers often run a fever in the 100 to 102 degree range. Depending on which virus is the culprit, the virus might also produce a headache, cough, postnasal drip, burning eyes, muscle aches, or a decreased appetite. Within one to three days, the nasal secretions usually become thicker and perhaps yellow or green — this is a normal part of the common cold and not a reason for antibiotics. With the flu, you are sick all over. Classically, the flu begins abruptly, with a fever in the 102 to 106 degree range (with adults on the lower end of the spectrum), a flushed face, body aches, and marked lack of energy. Some people have other systemic symptoms such as dizziness or vomiting. Somewhere between day 2 and day 4 of the illness, the “whole body” symptoms begin to subside, and respiratory symptoms begin to increase. 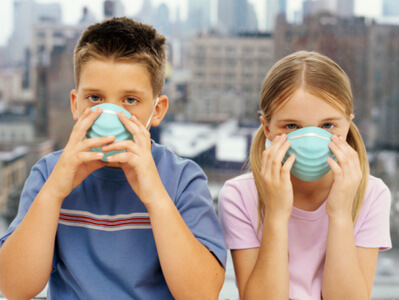 The virus can settle anywhere in the respiratory tract, producing symptoms of a cold, croup, sore throat, bronchiolitis, ear infection, and/or pneumonia. The most prominent of the respiratory symptoms is usually a dry, hacking cough. Most people also develop a sore (red) throat and a headache. Nasal discharge and sneezing are not uncommon. I’m not sure what is going on with me…at first I thought I just had a common cold but then I threw up around 4:00am I also have this old feeling in my throat that won’t go away. I have no fever but sometimes get the chills..is this the flu or could I just be suffering from a common cold?